Given the trajectory of affordability in this city, what do concerned residents have to lose? Vancouver seems doomed these days. A bloated real estate bubble shows no sign of deflating. The province, feds and city are all unwilling or unable to halt a worsening housing crisis, driving thousands of renters (including myself) to flee the city before getting evicted again. Some voices still maintain that any discussion of offshore money is nonsense or racist, as if to try to cauterize a public debate we desperately need to have. The accusation of racism is like kryptonite to most Canadians — we pride ourselves on living in one of the most welcoming countries in the world. But the tsunami of offshore money now flooding into this city has nothing to do with race — it’s about class. 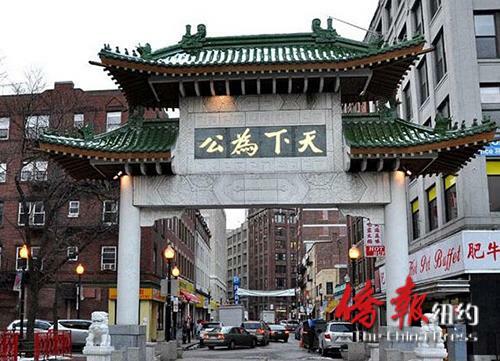 Just a few blocks away from Millennium Tower, Boston’s most expensive luxury development, very low income workers—living two to three families per unit in historic row houses in Chinatown — are being kicked out by developers. And for them finding a place to live has become nearly impossible. On a cold wet day—perfect for a hot latte at one of the new upscale downtown cafés —social activist Leveret Wing literally opened the doors into his community and the crises being faced by Chinatown residents.